Dead fish litter the beaches. The skies are brown and murky. The Eskimos are sweating. 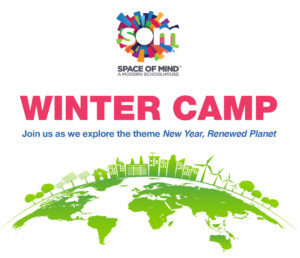 SOMething Scary is coming this Halloween as Space of Mind (SOM) – the modern schoolhouse located at 102 N. Swinton Avenue in Delray Beach – imagines a world haunted not by goblins and ghouls, but by the repercussions of environmental disasters. 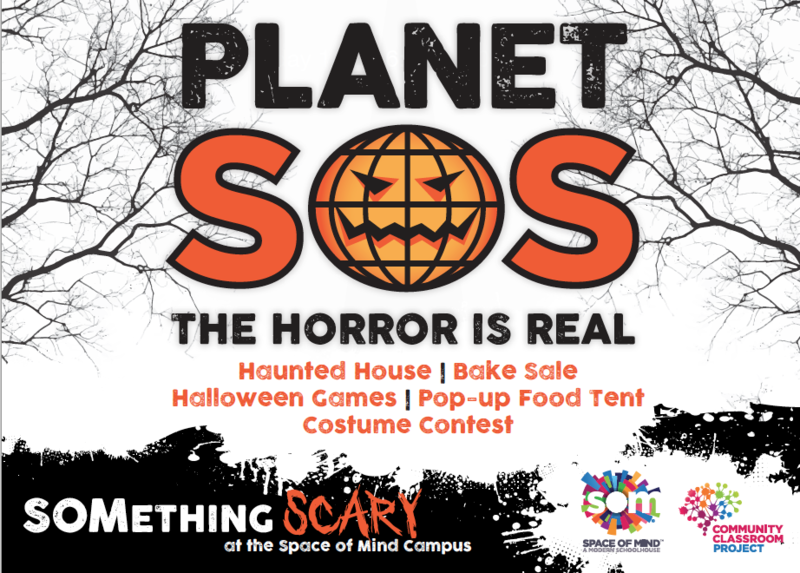 This educational (and terrifying) haunted house is called Planet SOS! and takes place on Friday, October 26, 2018 from 6:00-10:00 pm, accompanied by festive and frightful games, clothing upcycling booth, deliciously devilish (and sustainably sourced) snacks and treats, as well as costume contests with prizes in two categories: Most Creatively Reused Materials, and Best Planet-Saving Hero. There will also be a digital media art installation featuring student-produced documentaries and an art show of sustainably produced sculptures. Attractions range from $2-$8, and proceeds benefit SOM’s new nonprofit initiative, the Community Classroom Project. Details are online at www.ccpdelray.org.